Blue wins Best Minor Puppy In Show in his first show as a minor. 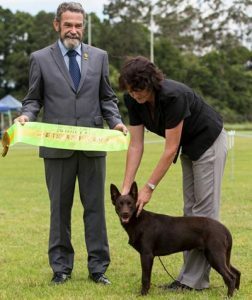 Silvie won Best Neuter In Group at Kyogle show. Busy weekend at Coffs Harbour trial. Capella got her Rally Advanced (RA) title, Ruby got her Rally Excellent (RE) title and Whist got her Novice Jumping (JD) title. Tyler (and Debby in Qld) got her TD title! Capella got 2 passes in Rally Advanced (and 2 x 1st places!) and Ruby got 2 passes in Rally Excellent (2nd and 7th placings) – so proud of my girls! 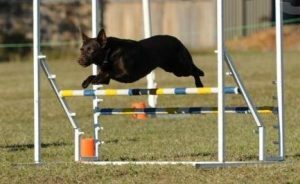 Tango (and Gay – in Qld) had a huge weekend – her first trial in Rally Excellent and got a pass and a 2nd place as well as a quali in Dances With Dogs Freestyle Novice and in Heelwork to Music Novice the next day. Trumps had 7 babies (to Harry) – 5 girls and 2 boys! 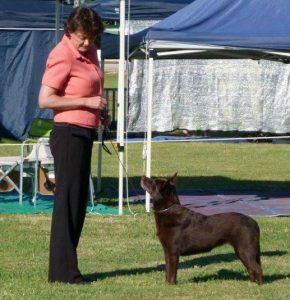 Willow got her AD title, Tango got her RA, Zawadi got her JDX, GD, SD and SPD titles, Whist got her GD and Ruby got her SPDX – what a big weekend of trialling for Callicomas in 3 different states! 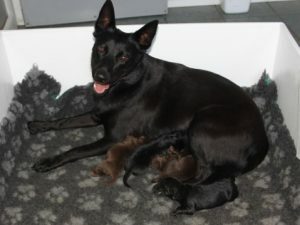 Billee had her puppies to Liquorice – 2 chocolate boys, 2 black girls, 1 chocolate girl. A fantastic weekend is had at the Callicoma Get Together at Camp Tailwaggers. 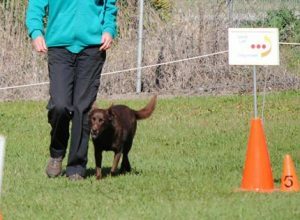 32 people and 24 Callicoma Kelpies had a weekend of fun. Liquorice, Marj and Porscha’s hips scores are in. We are very happy – Liq and Marj scored the perfect 0:0 hips and 0:0 elbows, and Porscha scored 1:0 hips and 0:0 elbows – still one of the best scores we have had. 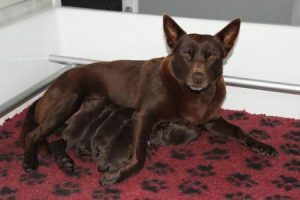 Ruby has 6 puppies to Cracker – 2 black boys, 1 fawn boy, 1 blue boy, 1 chocolate boy and 1 black girl – a rainbow litter! Not such a good start – Tilly – Callicoma Red Tulip was bitten by a brown snake yesterday. She spent 24 hours at the vet and had the anti venom, but has gone home today – phew. Still a lot of recovery to go.